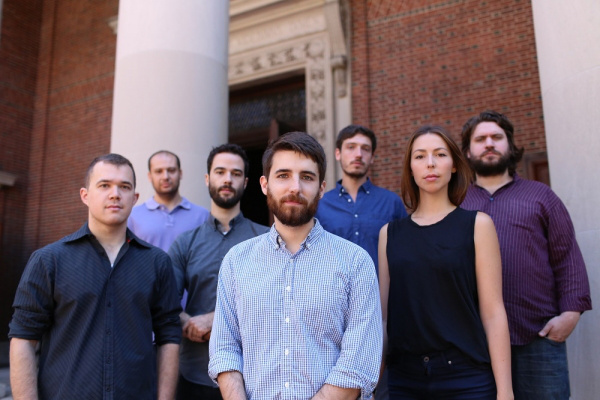 Mason’s influences include Kris Davis, John Zorn, Dan Weiss, and John Luther Adams. Perhaps most obvious of these is Dan Weiss, especially when comparing Beams of the Huge Night to Weiss’s excellent Fourteen from last year. 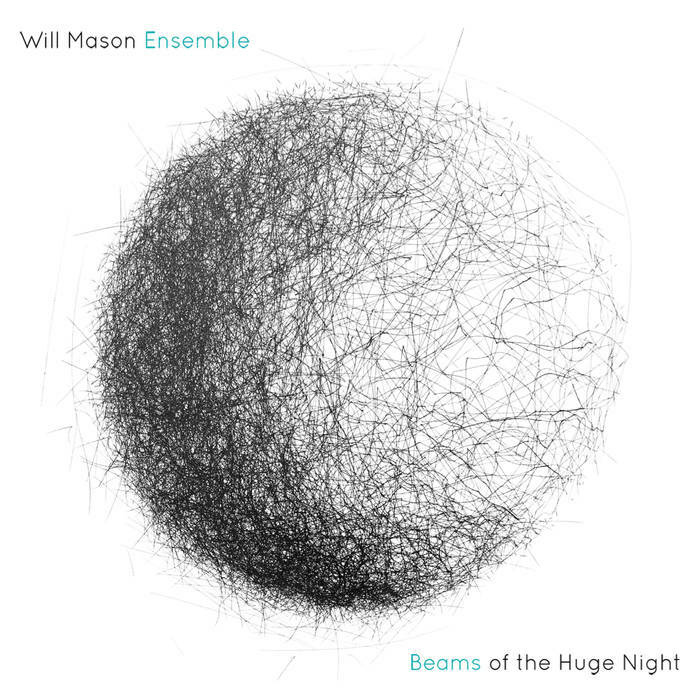 Both Mason and Weiss are drummer / composers who excel at big-band pieces of remarkable complexity. Also, both Beams of the Huge Night and Fourteen feature mostly-wordless female vocals providing a haunting atmosphere. Beyond these similarities, Mason forges his own path. The 16-minute opening track, Finn, kicks things off with a slow improv section, followed by an aggressive theme in which the guitars, oboe, and sax provide layered, falling cascades. This builds into a controlled blow-out, an introspective yet angular interlude, then back to spiraling motifs over heavy guitar picking. Mason provides dexterous drumming, equally at ease in free-form and riffing contexts. There is something of a heavy-metal feel to the compositions, in the sense that the group will play all out over recurring rhythms, though any repetition is subtle due to the constantly shifting tectonics of Mason’s writing. Case in point, the second track, Door 6, features a single-string guitar riff, over which the vocalist and instrumentalists float in and out. Bass and drums accent the rhythms, and the track slowly morphs into a much more assertive piece, with urgent blasts of sax, oboe, and vocals over well-placed chording. Door 7 follows, a more restrained offering featuring undistorted guitar improv over drumming, before breaking out into a full-group staccato exploration. Another long piece, Dixfield, ME, is characterized by irregular sax lines over bass and drums, eventually accompanied by equally disjointed guitar lines. The remaining members jump into with an occasional crescendo. By the half-way mark, the entire group is going full force, then they suddenly digress into a quieter approach. This, in turn, builds into a brash, single-note punctuated melody. At only 26, Mason, who is currently pursuing a doctorate in music at Columbia University, has a long career ahead of him. If Beams of the Huge Night is any example of what he can do, we have a lot to look forward to in coming years. A solid album of the year candidate.